No more Blow Off Valve Leaks! 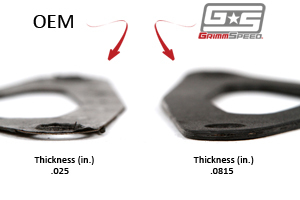 Top notch gasket! i have no issues with it at all. its alot thicker than the oem. i have had it installed for about 3 months no issues at all. A while ago I had swapped out my turbo and intercooler, but in the process I messed up my BOV gasket, so I did something stupid and used Right Stuff to seal my BOV back to my intercooler. That worked until I needed to replace some parts, and ended up struggling to get the Right Stuff off, after that I decided to do it correctly and buy a gasket. I looked at a couple different ones and finally set on Grimmspeed. 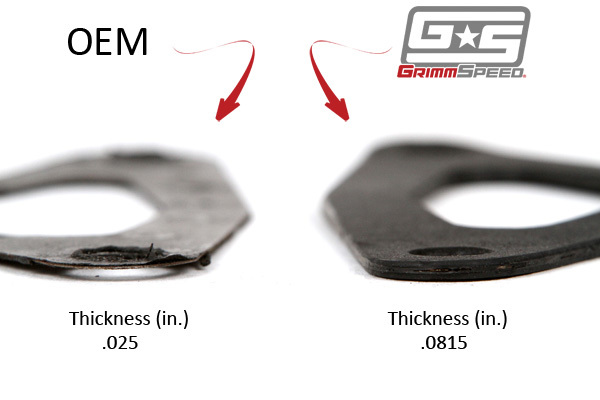 I am very happy I went with this gasket, no leaks and great performance, just what I expect from Grimmspeed.